You can change which service your domain uses for its website and email by modifying its DNS records (or zone file records). Management of your DNS records is done through the DNS Zone File editor in your Doteasy Member Zone. 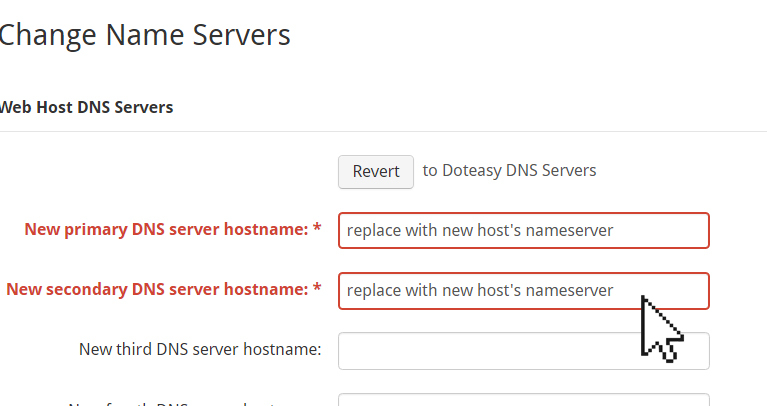 Note: The DNS Zone File editor is only available to accounts with domain registered through Doteasy. If your domain name is registered through another domain registrar, you will need to contact your domain registrar or handler for further assistance. Management of your DNS records is done through the DNS Zone File editor in your Doteasy Member Zone. 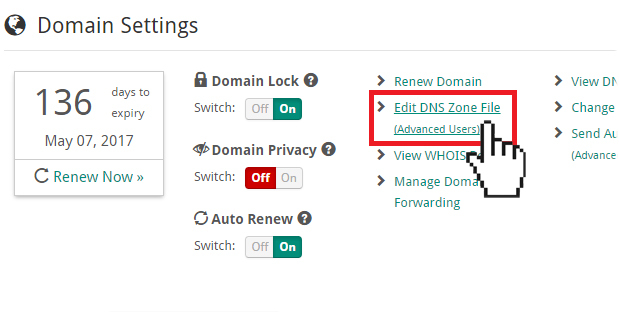 Under Domain Settings click Edit DNS Zone File. Once you’ve opened the DNS Zone File editor, you can modify your existing DNS records. Note: DNS changes you make on your Zone File editor can interrupt your hosting services. If you are unsure how to change your DNS records, please let us know and we will help you with the changes. Scroll to the bottom of the Zone File editor for the Add New Record section. In the Source field, enter the desired record name. Using the Type drop-down menu, select the proper entry type. In the Destination field, enter the address or value that the record should resolve to. 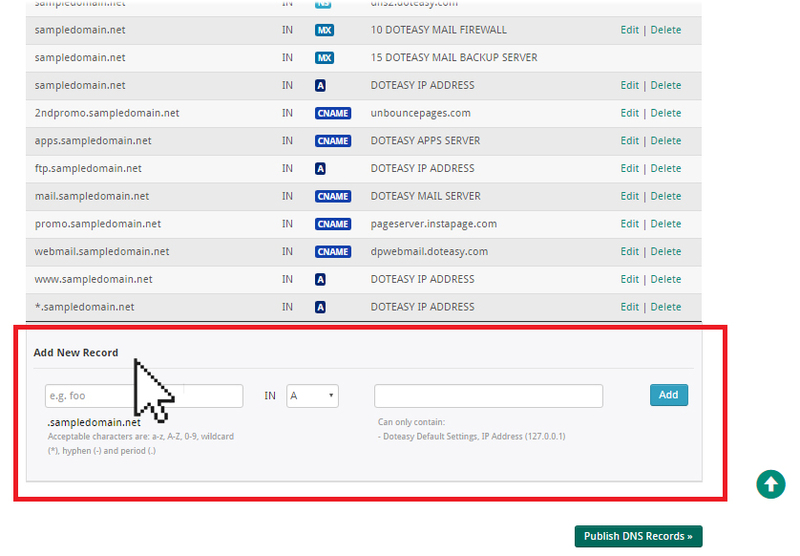 Once you have created the new record, click Publish DNS Records to complete the changes. Note: DNS changes may take up a few hours to take effect due to propagation. On the Zone File editor, scroll to find the record you wish to delete. Click the Delete button next to the records. If you are planning on hosting your domain name with another web host provider, you will need to point your domain to that host. This is done by changing your domain name servers. Before your begin, you will need to contact your new web host for their name server information. Scroll to the Domain Settings section and click Change Name Servers. Enter the new primary and secondary name servers into the New Primary DNS server hostname and New secondary DNS server hostname fields. When ready, click Apply Changes.